News emerged today that a Palestinian woman, Hana Yahya al-Shalabi is on hunger strike against her renewed “administrative detention” without charge or trial by Israel. Al-Shalabi spent more than two years in administrative detention, and had been freed last October as part of the prisoner exchange deal between Israel and Hamas. On 17 February, al-Shalabi, who is 29, was once again arrested by Israeli occupation forces from her home near Jenin in the occupied West Bank and is again under detention without charge or trial. Shalabi was arrested from her family home on 14 September 2009. At approximately 1:30 a.m. that morning, Israeli soldiers in 12 military jeeps surrounded her house in Burqin village, near the West Bank town of Jenin. The soldiers ordered Hana’s entire family outside of the house and demanded Hana give them her identity card. They then proceeded to conduct a thorough search of the family’s home. During the search, one of the soldiers forcibly removed framed pictures of Hana’s brother Samer, who was killed by the Israeli army in 2005, tore them apart and walked over the pieces in front of the entire family. Shalabi was subjected to solitary confinement, abuse and sexual harassment during her interrogation and then ordered to be detained without charge or trial for six months. That order was later renewed, however she was subsequently released as part of the prisoner deal in which Israel agreed to release 1,027 Palestinians in exchange for the return of an Israeli soldier who had been held in Gaza since 2006. Highly secret documents related to the Anglo-French project aimed at building Europe’s assassination drones have been stolen at the Gare du Nord station in Paris. A briefcase containing highly confidential documents relating to the Anglo-French assassination drone project has been stolen from a senior French executive. The senior executive from Dassault Aviation, a French manufacturer of military jets, was on his way to London when two people, possibly linked to “a highly-sophisticated operation by a spy agency” as described by the French police, stole the documents. Britain and France agreed to carry out a joint project aimed at building a new generation of assassination drones, known as Male (medium altitude long endurance) drones, by 2020. British anti-arms campaigners have severely criticized the Anglo-French project as they describe the assassination drones as “the latest ‘must have’ weapon system” that Britain is “desperate” to build. “Drones are the latest ‘must have’ weapon system and it is important they say, that the UK keeps up with the US and Israel in this key market,” said Drone Wars UK in a statement. Carlson’s call for genocide was revealed to the non-Fox News-watching world by ThinkProgress‘s intrepid Eli Clifton and was quickly lambasted by numerous commentators. Even Jeffrey Goldberg has weighed in. This is all very noble and humane of Goldberg, but it’s also completely disingenuous and hypocritical. It should go without saying that Iran does not “deserve” to be annihilated. I wish, of course, that Iranian citizens will one day soon be free of the evil regime that rules their lives, and that Iran’s neighbors, Arabs, Jews, everyone, will be able to live without fear of Tehran’s aggressiveness. Yet, unsurprisingly, Goldberg doesn’t even play by his own rules, often using the shorthand term “Iran” to refer to the country’s government. In his much-discussed and totally wrong September 2010 blockbuster, “The Point of No Return,” Goldberg hysterically referred to “the immediate specter of nuclear-weaponized, theologically driven, eliminationist anti-Semitism,” meaning, of course, the Iranian government. Now, obviously, Iran poses threats to other areas of the Middle East and they pose a national security threat to the United States, but for Israel, they feel because of their history, because of their location, because of their vulnerability, they feel that this is an especially urgent threat. Goldberg also rehashes the baseless allegations that the Fordo enrichment plant was “exposed by Western intelligence agencies in 2009” and that “peaceful, internationally supervised nuclear program presumably would have no need for secret uranium-enrichment facilities buried inside mountains” Not only did Iran itself announce the existence of the site in accordance with its obligations under the safeguards agreement it has with the IAEA, but the site itself is under round-the-clock surveillance and subject to more intrusive inspections than nearly any nuclear site on the planet. Additionally, one might assume that with near daily threats of and rumors about an imminent, unprovoked Israeli or American attack on Iranian nuclear facilities, even sites under safeguard (and in which the IAEA has repeatedly and consistently confirmed – multiple times a year, year after year – that there has been no diversion of nuclear material), should be defended from potential, illegal aggression. For Iran not to staunchly defend facilities and technology (in which it has invested billions) from attack would, in fact, be profoundly irresponsible, negligent, and dangerous. The next month, Goldberg wrote a piece for Bloomberg called “Why Obama Might Save Israel From Nuclear Iran.” In it, Goldberg claimed that the IAEA “is set to release a report…offering further proof that the Iranian regime is bent on acquiring nuclear weapons.” Well, that didn’t actually happen. On January 23, 2012, Goldberg declared, “It’s beyond a doubt that the Iranian regime would like to bring about the destruction of Israel.” In the same piece, embarrassingly entitled “How Iran Could Trigger Accidental Armageddon,” Goldberg concluded that “opponents of military action make a mistake in arguing that a nuclear Iran is a containable problem. It is not.” Reading this determination, one wonders whether Goldberg thinks “[t]his is the sort of rhetoric that leads to war” or not. Iran represents the definitive, post-Nazi Jewish nightmare: a regime that openly argues for the destruction of Israel and is seeking nuclear weapons. The Iranian supreme leader, Ayatollah Ali Khamenei, said just last week, “The Zionist regime is a cancerous tumor that should be removed and will be removed, God willing.” The regime seems bent on building weapons that could actually bring about the obliteration of Israel and its six million Jews. So, according to Goldberg, when an Iranian official uses the specific term “regime” (as in, say, “this regime occupying Jerusalem must vanish from the page of time”), he secretly means “every single Jew on planet Earth,” but when Goldberg himself uses the term he’s really only describing the “crazy” or “evil” or “bloody-minded” or “eliminationist” Iranian government. So, let’s see here. Why might Goldberg be frustrated with Tucker Carlson’s outlandish verbal diarrhea? Perhaps it’s because he’s stealing Goldberg’s thunder. There are few crimes more despicable than stealing your neighbour’s water, and polluting what’s left, then watching him and his children suffer thirst, disease and ruin. Most of us would want nothing to do with the perpetrators of such evil. British Water describes itself as the voice of the water industry. It talks about best practice and corporate responsibility, and lobbies governments and regulators on behalf of its members. No doubt it does a good job. 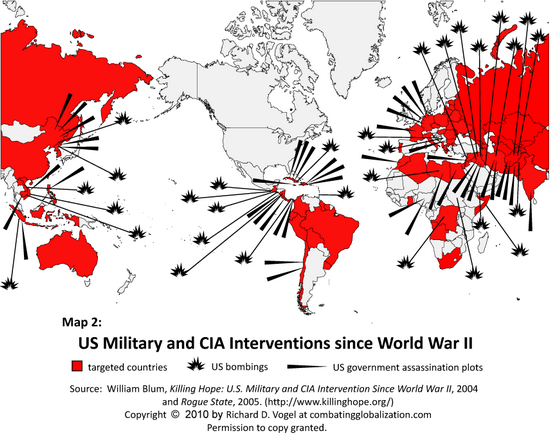 It also has international ambitions including in the Middle East. So presumably it knows what’s going on water-wise in the Holy Land. British Water should know, for example, that the 400-mile long structure known worldwide as Israel’s Apartheid Wall bites deep into the Palestinian West Bank dividing and isolating communities and stealing their lands and water. If the wall was simply for security, as Israel claims, it would have been built along the internationally-recognised 1949 Armistice Green Line, although not even this is an official border. The wall’s purpose is plainly to annex plum Palestinian land and water resources for illegal Israeli settlements, and to that end it closely follows the line of the Western Aquifer. In 2004 the International Court of Justice at The Hague ruled that the construction of the wall is “contrary to international law” and Israel must dismantle it and make reparation for damage caused. The ICJ also ruled that “all states are under an obligation not to recognise the illegal situation resulting from the construction of the wall and not to render aid or assistance in maintaining the situation created by such construction”. But the wall marches on, aided by American tax dollars and America’s protective veto, so that Israel can wield complete control over the water resources it sees as necessary to the regime’s present and future needs. This makes the Palestinians, who sit on top of enough water to be self-sufficient, entirely dependent on Israel for God’s life-giver. Israel also consumes most of the water from the Jordan River despite only three per cent of the river falling within its pre-1967 borders. Palestinians now have no access to it whatsoever due to Israeli closures. Most of the Coastal Aquifer, on which Gaza’s inhabitants rely for water, is contaminated by sewage and nitrates, and is unfit for human consumption. Children particularly are at great risk. The aquifer is depleted and in danger of collapse. The damage could take generations to reverse, say experts. During Israel’s deadly assault on Gaza (Operation Cast Lead) in 2008-09 over 30km of water networks were damaged or destroyed in addition to 11 wells. A UN fact-finding mission (the Goldstone Report) considered the destruction “deliberate and systematic”. Proper repairs have been impossible these last three years because Israel blocks the import of spare parts. “Thirsting for Justice” is an aptly-named campaign by the Emergency Water Sanitation and Hygiene group, a coalition of 30 Palestinian and European humanitarian organisations, including Oxfam. It calls on European governments to put pressure on Israel to respect international law and the Palestinians’ basic rights to water and sanitation. Under the warped arrangements of the Interim Agreement on the West Bank and the Gaza Strip (1995) Palestinians are only allowed to extract 20 per cent of the “estimated potential” of the mountain aquifer beneath the West Bank. Israel not only takes the balance (80 per cent) but overdraws its sustainable yield often by more than 50 per cent. A Joint Water Committee was set up to implement the agreement but Israel was given veto power and the final say on decisions. As a result, a number of essential projects for Palestinians have been denied or delayed. To make up for part of the supply shortfall, Palestinians are forced to buy water from the Israeli national water company Mekorot, some of which is extracted from wells within the Palestinian West Bank. In other words they are having to buy their own water, and at inflated prices. Oxfam, which is very active on the ground in Gaza, confirms that 90-95 per cent of water from Gaza’s only source, the Coastal Aquifer, is undrinkable. At the current rate the aquifer will be unusable by 2016 and the damage irreversible by 2020. Gaza residents are restricted to an average of 91 litres of water per day compared to 280 litres used by Israelis. 100-150 litres a day are required to meet health needs, says the World Health Organisation. Marginalised Palestinian communities in the West Bank survive on less than 20 litres per capita per day, the minimum amount recommended by WHO to sustain life in an emergency. Haaretz last month reported the French parliament’s Foreign Affairs Committee findings on the geopolitical impact of water in confrontation zones like Israel-Palestine. According to the report, water has become “a weapon serving the new apartheid. Some 450,000 Israeli settlers on the West Bank use more water than the 2.3 million Palestinians that live there. In times of drought, in contravention of international law, the [illegal] settlers get priority for water”. Not content with robbing the Palestinians of their water, the Israelis are in the habit of flooding Palestinian fields and villages with untreated sewage from their hilltop settlements. Against this background British Water has decided to cooperate with MATIMOP, an Israeli government agency that has been ordered to enter into international agreements and “aggressively expand opportunities for Israel’s industry”. British Water agreed the text for an announcement by the Embassy of Israel but didn’t release it themselves, apparently happy for Tel Aviv’s propaganda boys to take care of it. In the press release MATIMOP says: “Israel has been coping with water scarcity since its founding.” Yes, coping by thieving. How will British Water avoid complicity with Israel’s endless oppression of the Palestinians and the deadly strife with its other neighbours in the region? Perhaps Neil-Gallacher should ask one of his own member companies, Veolia, what can happen if caught up in Israeli projects that violate international law. Veolia dumps Israeli waste on Palestinian land and is helping to build and run a tramway connecting Jerusalem with illegal Israeli settlements. The company must rue the day it crossed the line to fall foul of those nice folks at BDS — the Boycott-Divestment-Sanctions movement. 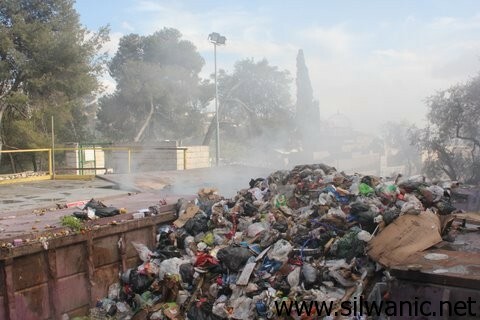 Large quantities of waste are being piled by the Jerusalem Municipality inside the Islamic cemetery (Bab Alsbat) next to Lions Gate in the old city, in a move that has upset and offended the City’s thousands of Muslim inhabitants. The Lions Gate, which lies close to the sacred Al-Aqsa Mosque, is now awash with the overpowering stench of accumulated garbage. A resident Christian priest of the Old City told Silwanic that he considered the Municipality’s actions unlawful, and encouraging of racism in Jerusalem. Iran has delivered a protest note to the UN Security Council (UNSC), condemning Israel for carrying out a host of hostile activities with “impunity” against the Islamic Republic. In a protest letter on Wednesday, Iran’s Ambassador to the UN Mohammad Khazaei censured Israel’s countless acts of crime against Tehran, saying Tel Aviv has carried out “covert operations, cyber warfare, psychological war and assassinations of nuclear scientists,” on top of threatening to wage a war on Iran. “These operations, as well as attributing the violent acts, are part of the general war game waged by this regime against Iran,” the letter added. “Regrettably, the impunity with which the (Israeli) regime has been allowed to carry out its crimes thus far, has emboldened it to continue and even increase its blatant defiance of the most basic and fundamental principles of international law and the United Nations Charter,” it went on to read. Khazaei also made reference to a string of recent bomb attacks on Israeli diplomatic targets in several countries and refuted Tel Aviv’s allegations that Iran was involved in the incidents. Iran “categorically rejects the allegations concerning any involvement of its officials or organizations in the recent purported terrorist operations against Israeli targets in a number of countries, namely Thailand, India, Georgia or Azerbaijan,” the envoy’s letter further said. On February 14, a man hurled a grenade at Thai police and a cab in Bangkok. The attacker was injured seriously in the blast. Bangkok police say they found Iranian identification documents on the maimed man. Earlier in the day, a house rented by three men, who police say were Iranians, exploded when a cache of explosives reportedly went off by accident. Soon afterwards, there was a third blast on a nearby road, Thai police said. The three explosions in Bangkok happened a day after bomb attacks targeted Israeli embassy staff in India and Georgia. Israeli Prime Minister Benjamin Netanyahu was swift to accuse Iran of orchestrating the attacks. Five years ago Abed Seder’s wife, Kefah, was shot five times in the chest by Israeli soldiers as she went onto her roof to check her water tank. She was 23 years old and left three sons motherless. He tells me his sons are afraid to go on the roof, which overlooks the illegal Zionist settlement of Beit Hadassah. To an international community, Abed’s struggle is one of trauma and loss, but he tells it with shockingly familiar regularity. 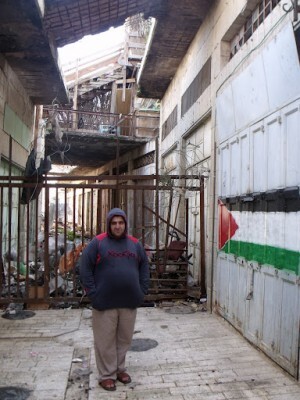 Abed´s home is sandwiched inbetween Beit Hadassah and Beit HaShisha settlements, from which he receives regular torrents of abuse and violence. Rubbish and broken glass bearing Hebrew writing litters the path to his front door, bypassing the nets which attempt to catch the used nappies and toilet roles. His windows have been boarded up from the outside by Israeli soldiers in an attempt to prevent settlers from throwing molotov cocktails into Abed´s home. Abed shows me the view from his caged bedroom window, which looks directly onto a neatly planted playground, complete with basket ball court where the children of immigrant Zionists can enjoy the sunshine. As one of them raises their middle finger, Abed tells me that they regularly throw water and beer bottles so they try to keep the window closed. Perhaps the saddest victim of this has been Abed´s 6 year old son Wadia, who was left blind after Abed´s neighbours threw chloric acid from their rooftops two years ago. He was just four years old. Wadia has since been seeking treatment in a hospital in Jordan while Abed and his wife can only afford to visit him once every three months. In 1967 Israel occupied Hebron along with the rest of the West Bank. The settlement of Kiyat Arba was established on the outskirts of Hebron in 1968, later allowing for communities of settlers to illegally occupy properties such as the Hadassah Hospital and other Palestinian neighbourhoods such as Tel Rumeida. Hebron is currently home to over one hundred thousand Palestinians, who are suffering at the hands of some 500-800 settlers protected by a constant Israeli military presence. Since the Second Intifada, settler violence has escalated in the city of Hebron with illegal settlers routinely attacking and violating the rights of their Palestinian neighbours. B’tselem has recorded incidents of physical assaults, including beatings, stone throwing and hurling of refuse, sand, water, chlorine and empty bottles. Settlers have destroyed shops and doors, committed thefts and chopped down fruit trees. Settlers have also been involved in gunfire, attempts to run people over, poisoning of a water well, breaking into homes, spilling of hot liquid on the face of a Palestinian, and the killing of a young Palestinian girl. He described the harm to Palestinians as “a display of good citizenship that is intended to help the police enforce the planning and building laws in the area on Palestinians, too.” Collective punishment is illegal under international law and is a violation of the Geneva Convention. B’Tselem has investigated many incidents of settler violence and stated to have found that “Israeli forces intervened late, usually when Palestinians begin throwing stones at their attackers. The late response cannot be justified, as these incidents are part of a pattern and can be predicted. They conclude that “the security forces must prepare in advance in a way that will enable them to prevent harm to Palestinians.” B´Tselem stated that the authorities have systematically failed to enforce law and order against violent settlers attacking Palestinians. Human rights worker Hisham Shabarati explains the relationship between the soldiers and the settlers as a kind of role play, whereby “settlers are able to make the actions the military can’t.” He describes settlers as a political instrument able to carry out random and brutal attacks under the protection of Israeli soldiers. As long as Israel protects the rights of illegal settlers in Hebron over the rights of the Palestinian people, Abed and his family will suffer.